Consumer surveys are a dime a dozen these days. While a survey in itself isn’t necessarily noteworthy, they do tend to hint at what a company may have planned. A recent survey from PlayStation Asia may point towards some future plans for a certain orange, jorts-wearing bandicoot. The survey was intended to gauge people’s interest in the upcoming The Last of Us Part II. One of the questions, however, asks consumers to select every game from a preselected list that they have played. Most of the options are what you’d expect, ranging from Uncharted to Tomb Raider. One game, however, stands out, because as far as we know, it doesn’t exist. The presence of Crash Bandicoot Racing is odd because, for starters, no Crash Bandicoot racing game has that title. Perhaps even more perplexingly, there’s no Crash Bandicoot racing game playable on the PlayStation 4 at all, while all the other games on the list are available on the platform. Despite the curious nature of this listing, this doesn’t confirm any solid plans for the Crash Bandicoot franchise. 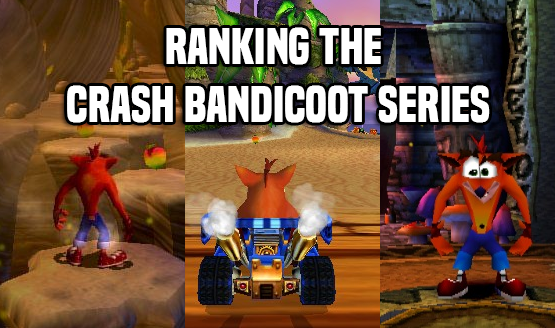 Following the success of the Crash Bandicoot N. Sane Trilogy, many have openly shared their desire for Crash Team Racing to get the same treatment. Reports of Activision prepping a Crash Bandicoot game for 2019 have surfaced, but there was no word on whether this game would be a brand-new entry, or a remaster. Only Activision knows what kind of plans it has for Crash Bandicoot, so we will just have to wait and see if all of this will add up to anything or not. For all we know, this could be a simple error.